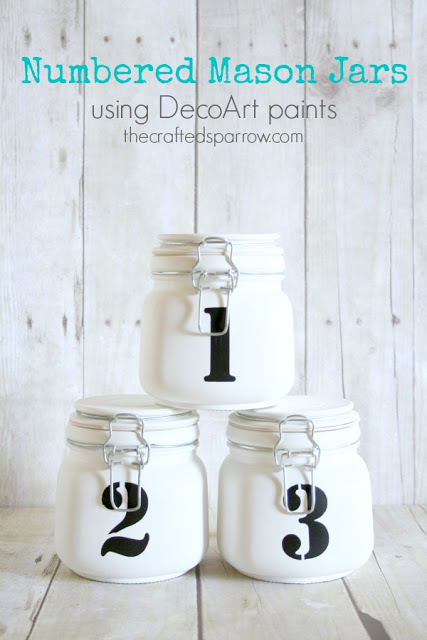 These super simple painted numbered mason jars from The Crafted Sparrow are one of my favorite projects lately. Sometimes the more simple in appearance the better something looks. Use these jars around your home for organization and storage or just as decor. Please click over and pin this great project from the original source.